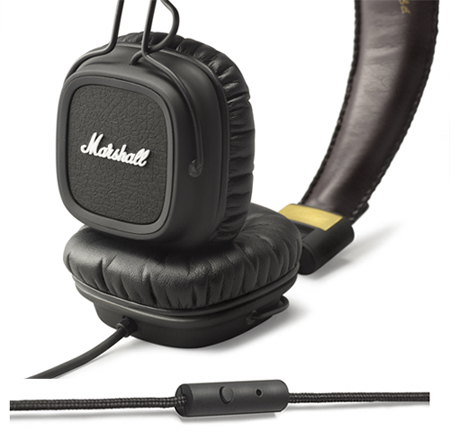 Marshall has equipped its Major headphones with remote and mic functionality so you would never have to take them off to use that mono Bluetooth headset of yours. The bad? Marshall makes no claims as to whether the Major's newly added remote and mic features are compatible with specific mobile devices, says it just works with mobile devices. Oh and I almost forgot, the remote doesn't even have volume controls. Nice going Marshall. The price was also updated from $99 to $119.